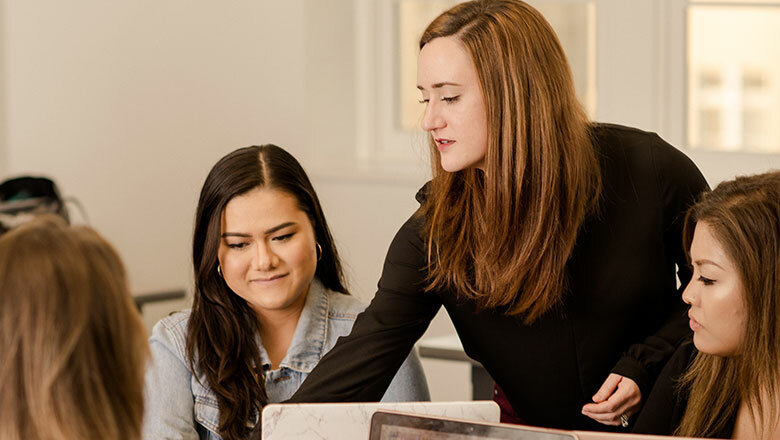 The Chapman University Ph.D. program in Communication will prepare you to teach and conduct research in the academic, as well as the professional, setting. Consistent with the program’s Areas of Emphasis, students will be prepared in the contexts of Interpersonal Communication, Organizational Communication, Health Communication, Strategic Communication, and Mediated Communication. If you have an interest in other sub-disciplines within the field of Communication, our faculty will help guide you in pursuit of those research interests such as in Family Communication, Instructional Communication and Intercultural Communication. If accepted into the Ph.D. program in Communication, you may apply for a Graduate Assistantship or other funding. Graduate Assistantships are one-year commitments and are renewable for up to three years. Assistantships and other funding awards will be distributed on a competitive basis. Full-time students coming into the program with a Master’s degree will need to complete a minimum of 36 credit hours of coursework and are expected to graduate within three years. Additionally, students will register for up to 18 hours of research during their third year in the program. Thus, students entering with a Master’s degree, or the equivalent, must complete a minimum of 54 total credit hours. Students admitted without a master’s degree will need to complete the Health and Strategic Communication master’s degree as an integral part of the Communication Ph.D. program, in addition to the doctoral work. Thus, students entering without a Master’s degree, or the equivalent, must complete a minimum of 66 credit hours of coursework in addition to 18 credit hours of research. Our Ph.D. program has 3 Areas of Emphasis (AoE). These AoE’s mirror the specialties of the current faculty: Health and Strategic Communication, Organizational Communication, and Interpersonal Communication. Health and Strategic Communication is a relatively new area within the field of Communication that brings together numerous sub-areas of the field. Specifically, by using this Strategic lens, researchers in the areas of Health Communication, Persuasion, and those working with New Media technologies have been able to form synergistic partnerships. These partnerships have resulted in advances in theory development, research productivity, and application of a rapidly expanding knowledge base within the field of Communication. Organizational Communication has been defined as the flow of messages within a network of interdependent relationships for the purpose of eliciting actions which will accomplish organizational goals (Goldhaber, 1993; Scott, 1967). Organizational communication is how organizations represent, present, and constitute their organizational climate and culture—the attitudes, values and goals that characterize the organization and its members. Interpersonal Communication involves the study of both the processes and effects of social interaction. Cognitions, emotions, and discourse patterns occurring during conflict, lying, and persuasion are some of the factors commonly studied. Communication in personal and family relationships are two important contexts in which interpersonal theories are applied. ﻿Coursework requirements have been organized into five separate areas. The first is the Core Theory Courses, followed by Core Methods/Stats classes, Electives in Primary Area, Electives in Secondary Area, as well as Dissertation and Research. All students will take one (1) Core Communication Theory course (COM 700). Students will take an additional two (2) Core Theory courses (6 credit hours). These two courses will be representative of the student’s primary and secondary areas of emphasis. Students will declare a primary area of emphasis no later than the beginning of the second semester of their program. Similarly, students will declare a secondary area of emphasis no later than the beginning of their third full semester in the program (summer and interterm semesters do not count as full semesters). Students will take a minimum of four (4) Research Methods/Statistics courses (12 credit hours). All students will take Introduction to Research Methods (HCOM595), Quantitative Research Methods (COM695), and Qualitative Research Methods (COM696). Students must then choose one additional research methods course based upon their research interests and discussion with their Dissertation Advisor. Courses listed for Area 1 requirements can be double counted to fulfill Area 2 requirements but can only be counted once toward the 36 credit hour requirement. With approval of the Ph.D. Director, up to 6 credit hours of coursework from the student’s master’s degree can be applied toward fulfillment of the Ph.D. in Communication. Courses listed for Area 1 requirements can be double counted to fulfill Area 4 requirements but can only be counted once toward the 36 credit requirement.